Reading Labours is a project of The Idleness Labouritory, a collaborative creative practice research initiative led by Mick Douglas (RMIT, AUS) and Julieanna Preston (Massey University, NZ). The ‘Lab’ dwells on idleness as a lost art, a forgotten past time, a habit neglected by contemporary life, where notions and actions of work have consumed what was once sacredly free, unfettered and poignant. Work and life are no longer duelling partners but zones of occupation that have merged, often indistinguishable from one another. From the factory to the academy, the fields to the office, incentives, even mandates, to be utterly productive and a good consumer dominate bodies of all shapes, classes and occupations. The Idleness Labourity is an experimental space that inquires into what new states, gestures, postures and collaborative events of idleness might be, and what their implications might bring. Lab projects unearth and dislodge what taints idleness as lazy, loitering, unproductive, a waste of time, indolent, slothful, loafing, lethargic and without purpose or effect. They dismantle the forces that attribute the dreaming and imagining, stillness and contemplation of bodies to have lesser worth. The Idleness Labourity develops projects and practices, methodologies, tools and experiences around idleness that resist those forces, and in the process, constructs opportunities for idleness as creative and critical modes of enquiry. Lab projects research the potential qualities and affects of ‘idling’ creative practice methodologies, and their relationships to communities of practice, economies and networks. What might idleness offer us to better experience and understand the critical capacity of labour in creative practice research? 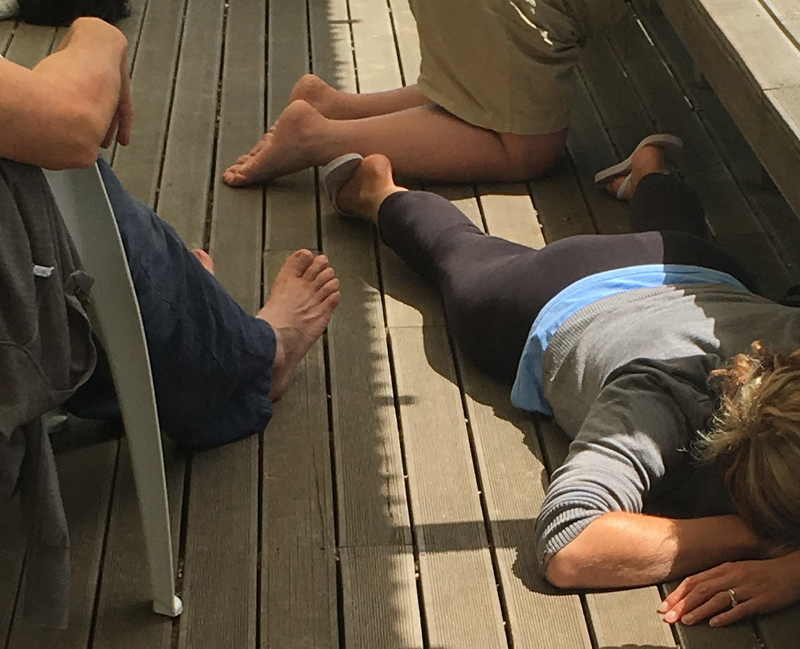 Reading Labours is a participatory durational performance that inhabits the interior space of Wellington’s Performance Lab for a continuous 24-hour period. Twelve participants will commit to inhabit the Lab, locked in, to undertake acts of vocalised reading of selected published texts on topics of idleness, labour, durational performance, oration and poetry, and performance writing and reading. We jointly commit to ensure that the act of reading will always be present and continuous over the 24-hour duration. Performances of reading will shift between diligent and forthright, laconic and languidly as we expand texts into bodily expression and exposition to inhabit them and let them inhabit us. Our individual and collective voices will orchestrate resonances audible to an audience of intent listeners and urban public peering in the street-frontage windows. Pedestrians may observe the ebb, flow and patterning of aural soundings ranging from rhythmic whispers, punctuated rants to cacophonic riffs, whilst bodies respond to diurnal habits and the day and night activity of the city. Reading Labours is a Urban Dream Brokerage project.